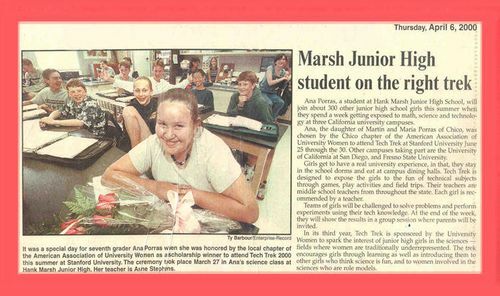 Anna is featured in an article written by the Enterprise Record on Thursday, April 6,2000. Click on her name above to see the article. Kendall is student director of the Women's Center at Chico State University. Tuesday, February 13, 2001. Read the Enterprise Record article by clicking on Kendall's name above. 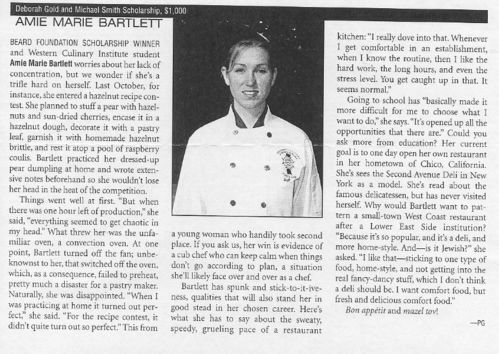 Amie is studying at the Western Culinary Institute. 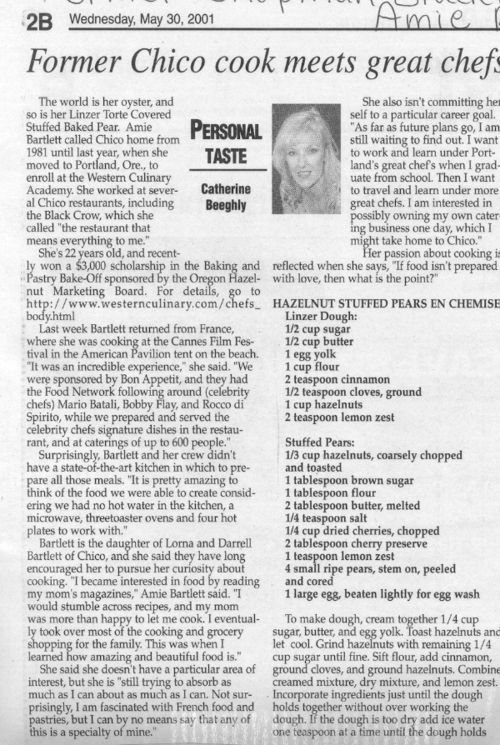 She won a Beard Foundation Scholarship with her Hazelnut Stuffed Pears En Chemise. Someday she would like to open her own restaurant in Chico. Read more about Amie by clicking on the links above. Danny is a player on the Chico High School Basketball Team. 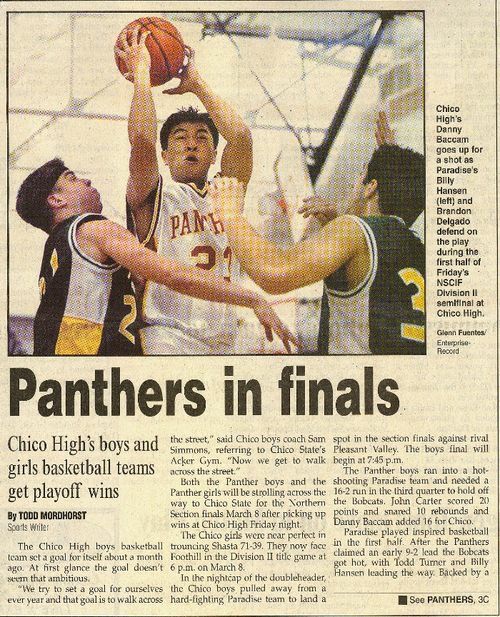 His photo was taken during the NSCIF Division II semifinals against Paradise. 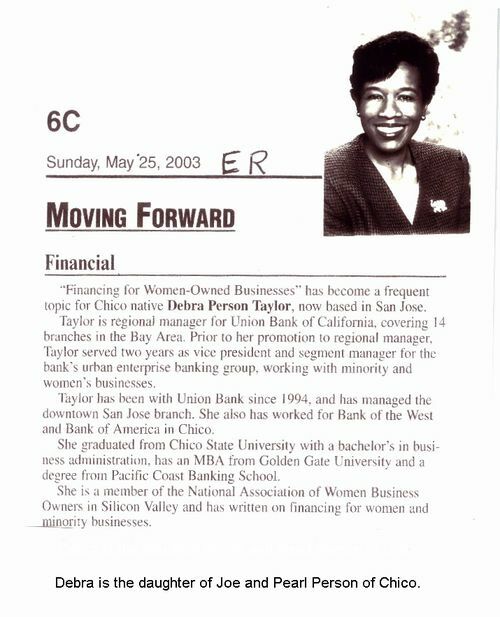 Debra is the regional manager for Union Bank of California. Read about her in a recent article from the Enterprise Record. 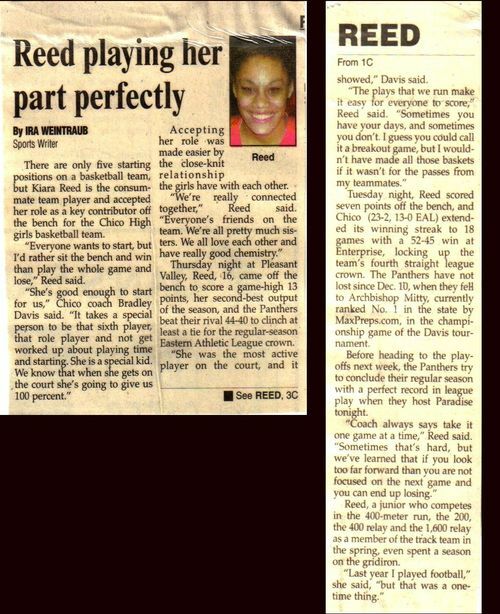 Kiara Reed is a player on the Chico High girls' basketball team. Her coach says that when she is on the basketball court she gives 100%.